The conference will take place at the Taipei International Convention Center (TICC) located next to the Taipei 101 tower. After the great success of the 1st edition at Stony Brook University (USA), which attracted more than 400 delegates and the 2nd edition at FEUP University of Porto (Portugal) which attracted more than 300 delegates, the 3rd edition will take place at University of Bologna (Italy) from 4-7th July 2017. 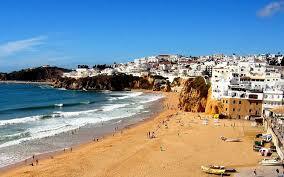 M2D2017 is the seventh international gathering of academics, scientists and engineers interested in the fields of mechanics, engineering design, advanced materials, energy harvesting, reliability, quality and safety engineering, and is planned for June 11-15, 2017 in Albufeira/Algarve, Portugal. We cordially invite you to join us at the combined Annual European Rheology Conference & Nordic Rheology Conference in Copenhagen, Denmark, 3rd - 6th April, 2017. This conference series began in 1985 and the overall goal remains the same: To bring together researchers working in the frontier areas of a variety of separation technologies. We hope to attract researchers working in adsorption, absorption, bioseparations, chromatography, crystallization, distillation, membranes, novel technologies, etc. The focus will be on new separation media, new separation techniques and new technologies breaking out. These aspects are key to the challenges appearing in carbon capture and sequestration, desalination, and increasing application needs in bioseparations among others. The issues of sustainability, energy consumption and process intensification will be ever present in all of our deliberations. A very large fraction of the current research in separations involves membranes and adsorbents. New separation media being discovered or developed impact both areas. Therefore in this conference there will be significant attention to the developments in separation media and the role of modeling in such activity. The nature of the separation device and the separation technique employed is crucial to the exploitation of the novel separation media. What novel separation technologies are breaking out is another area of importance. We expect high and continued interest in the conference on Separations Technology since it is such a crucial part of a number of major industrial processes around the world. The 88th Annual Meeting of The Society of Rheology will be held in Tampa, Florida on February 12-16, 2017; the optional associated short courses will be offered February 11th and 12th. The technical program will take place at the Grand Hyatt Tampa Bay, which is set along a nature preserve on the Bay’s upper shores on 35 acres of unspoiled beauty in one of Florida’s most picturesque locales. The average high and low temperatures in Tampa during February are 72°F and 54°F, respectively. This workshop aims to explore the recent innovations in polymer processing and advanced techniques to succeed in producing new materials, complex parts and controlled morphologies. The current tendency is to complexify the design and properties of new polymeric materials which can not be obtained only by simple formulation. Innovative processing is then one way towards advanced materials. This two days workshop will particularly focus on additive manufacturing, micro-devices and nano-processing, high speed processing and advanced extrusion that enable better control of material structures. The format of the workshop is designed to foster dialogue and exchange between leading academic scientists and experts from industry, who will give their understanding/perspective in the field of polymer processing. This workshop is open to engineers and researchers from academia and industry. 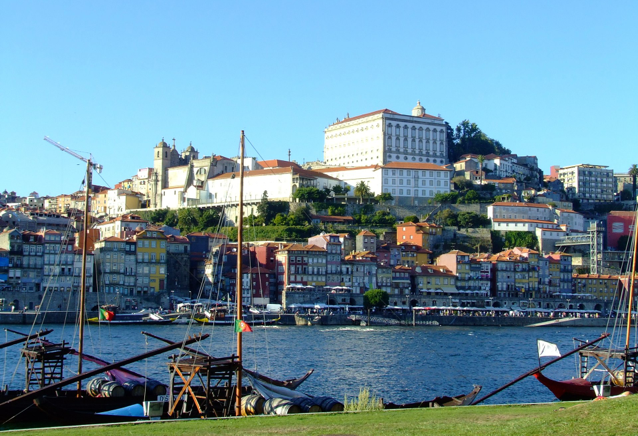 Following the previous successful Flowing Matter Conferences (December 2014 and January 2016), Flowing Matter 2017 will take place again in Porto, Portugal. The International Symposium on Food Rheology and Structure (ISFRS) is hosted by the Institute of Food, Nutrition and Health at ETH Zürich The symposium was initiated in 1997 by Erich J. Windhab and E. Dewald and since then held every three years in 2000, 2003, 2006, 2009, and 2012. The next symposium will take place in June 2015. The International Symposium on Food Rheology and Structure addresses the needs of food rheology and structure researchers. The symposium is devoted to rheology of food and related systems, to food structure and structure analysis, and to the complex relationship between food processing, structure, rheology and resulting food quality. The success of the series of International Conferences on Multiphase Flow, Orlando, Florida (2001); Santa Fe, New Mexico (2003), Portland, Maine (2005), Bologna, (2007), New Forest, UK (2009), Koss, Greece (2011) and A Coruna, Spain (2013) has led to reconvening the meeting in 2015. 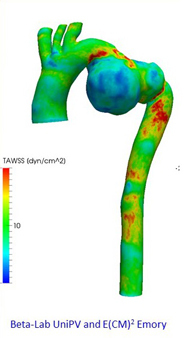 The overall focus of this conference series is the combination of experimental and computational techniques to gain a better understanding of all classes of multiphase and complex flow. The goal of the meeting is to facilitate the exchange of ideas and experiences directly and interactively, thereby promoting the development of knowledge in this increasingly important topic. 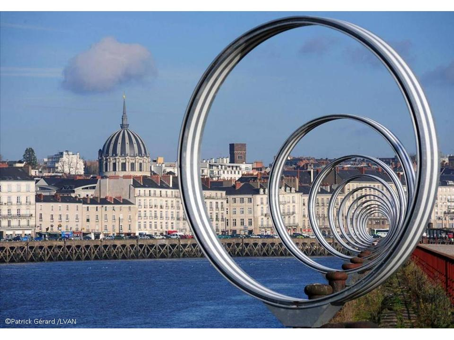 The 10th Annual European Rheology Conference will be organized in Nantes (France) by the Groupe Français de Rhéologie in April 2015. The conference will coincide with the Golden Jubilee meeting of the Groupe Français de Rhéologie. The conference will bring together world-class scientists, engineers, industrial experts and students involved in modern rheology and its applications. The program will be arranged around four plenary lectures with six parallel sessions and a poster session. A permanent exhibition of scientific and technological equipment will be part of the program of the conference. Ample time will be given to participants to discuss and promote new partnerships during lunches, coffee breaks and several free social activities. Nantes is an attractive city rich in art and history situated in the heart of a region committed to higher education, innovation and industry. It is easily accessible by high speed trains and/or direct flights from most parts of Europe. This ideal location in combination with an excellent public transportation system will offer the chance to many scientists from all over the world to come to the AERC conference in 2015. The RSC/SCI Colloids Group (http://www.colloidsgroup.org.uk) is pleased to announce a meeting for academia, industry and students to link the latest research on gels to tomorrow’s applications in the captivating and inspiring atmosphere of Cambridge.Colloidal gels are complex materials that when suitably designed give the performance and function to a wide range of advanced modern day products. Fundamental to designing such materials is understanding the interplay between interparticle forces on the molecular level and mesoscopic and macroscopic phenomena of network formation, mechanical properties and time-evolution. Understanding how all these components behave and interact together will be the focus of this colloquium. The international conference ic-rmm1 provides a platform among leading international scientists, researchers, PhD students and engineers for discussing recent achievements in measurement, modeling and application of rheology in materials technology and materials science of liquids, melts, solids. crystals and amorphous structures. Among the major fields of interest are the influences of temperature, mechanical stresses, deformation speeds on rheological properties, material structures and phase transformation of foams, foods, polymers, plastics and competitive materials like nanomaterials, medical- and biomaterials, ceramics, films and coatings, light metals, alloys, glasses, films, composites, hetero-modulus and hybrid materials, … etc. 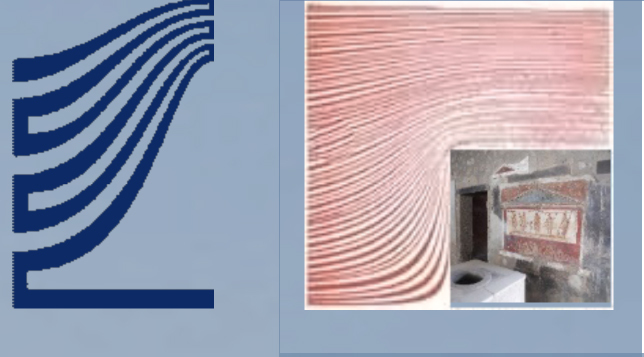 The 1st International RILEM Conference on Rheology and Processing of Construction Materials along with the 7th RILEM Conference on Self-Compacting Concrete will be held in September 2013 during the 67th RILEM Week, which will gather international experts dealing with various aspects of construction materials. From a material point of view, these two joined conferences will deal with a variety of construction materials, including concrete, mortar, grouts, renders, plasters, bitumen, paints or adhesives… In particular, it is expected a wide set of works concerning the rheology, design and processing of self-compacting concrete to be presented there. For each of these construction materials, the conference will emphasize the following aspects: Components properties and characterization, Chemical admixtures and mix design, Laboratory and in-situ rheological testing, Constitutive models and flow modelling, Mixing, production and quality control, Processing and casting processes, Drying and setting, Process induced final properties such as mechanical or durability properties. The aim of AERC 2013 is to bring together the world leading experts in the field of modern rheology.The programme will be centered around 4 plenary lectures, including the Weissenberg award lecture, with 5 parallel sessions. The Conference will take place in Leuven, Belgium. The XVIth International Congress on Rheology will take place in Lisbon, Portugal from August 5 to August 10, 2012. The Congress convenes every four years and brings together the world’s leading rheologists to present the latest advances and developments in this field. In addition, two short courses will be offered on the weekend before the Congress, August 3-4, 2012. The Congress will have fifteen symposia covering all the aspects of Rheology and will take place in the Belém Cultural Center, a modern Conference and Arts Center located on the Lisbon riverfront next to several historical buildings and landmarks. A pre-registration facility is available on the conference website to allow everyone interested in it to receive first hand all the news on the conference and updates to the site. Lisbon was founded by the Phoenicians, styled by the Moors and certainly enriched by the spice trade in the golden age of its overseas connections. It is one of Europe’s historic capitals, a blend of unusual character and charm and an amalgam of 800 years of cultural influences mingled with modern trends and life style creating spectacular contrasts. Spread across seven hills always opening a window towards the majestic Tagus river, Lisbon invites you. In addition to the technical program, an active social program has been prepared not only during the conference but also before and after, so that this trip may also be an unforgettable family and social one. The 6th Conference on " Times of Polymers (TOP) & Composites" is organized by Italian groups on polymer science and composites. Conference provides a forum for scientists and engineers throughout the world interested in the timescales of polymers and composites processing, structure and properties. As time is the driving concept in the polymer science community, TOP-Conferences include sessions on various topics and provide opportunities for exchanging ideas and opinions on both fundamental science and industry-relevant subjects. AERC 2011 will take place in the medieval Russian town – Suzdal. The AERC will be devoted to the 100th anniversary of Prof. G.V.Vinogradov, who was the founder of the modern rheology in Soviet Union and the organizer of the first laboratory of polymer rheology in Soviet (now Russian) Academy of Sciences. The aim of AERC 2010 is to be a meeting place where rheologists in academia and industry can share new science and technical developments, and to discuss, develop and cooperate on common themes. The AERC 2010 will be organized by the Nordic Rheology Society in Göteborg, on the Swedish west coast. With a population of half a million Göteborg is moderately sized by European standards but has a rich cultural life and plentiful shopping. The weather in April is usually pleasant in Göteborg with afternoon temperatures around 10-15°C. The evenings are bright and the sun sets at 8.30 pm. Please take a chance already now to get acquainted to Sweden – and particularly Göteborg – through the website where you will also find excursion and travel deals. We hope to see you in 2010 for a mix of rheology and Swedish hospitality! Giuseppe Titomanlio at the Faculty of Engineering of the University of Palermo, the little story of polymer research in Palermo begun. Almost without noticing it, and always with the same enthusiasm, these first forty years have passed, years where the research fields have continuously enlarged and diversified in full accordance with the international research trends: from rheological works (in particular the work focused on the elongational flow), to processing, polymer blends and LCPs, from thermomechanical and photoxidative degradation to recycling (one the first groups active in this field), from polymer-radiations interactions to polymer solidification kinetics, from composites, to nanocomposites, biodegradable polymers and tissue engineering scaffolds. In time, collaboration with prestigious national and international research groups helped us to grow. A work roughly summarized in several books, hundreds of papers and meeting presentations, many plenary lectures and keynotes which testify the esteem and the affection of the scientific community. Esteem and affection shown also by the point that the Group was chosen to organize several (and crowded!) national and international meetings (even though this may be due especially to Palermo’s charm!). However, the same affection is shown by all those Companies – especially from Sicily - with whom we had fruitful and interesting collaboration and that have funded a significant part of our research activity. After forty years, those first young guys, who enthusiastically started studying those “strange things” which rheology and viscoelasticity are, are going to retire, and others, young and less young, with the same enthusiasm, are going to start the path of more forty years. We wanted to utilize this symbolic date to gather all those who guided us and stood by us in these decades: let us celebrate together and remember years of hard work, but always pleasant and made glad by many friends. Rheo Iceland 2009 combines 2 conferences and 2 courses to "The Week of Rheology": the Rilem International Symposium on Rheology of Cement Suspensions such as fresh Concrete and the 18th Nordic Rheology Conference on suspension rheology. The development of rheology of cement based materials has been substantial during the last decade, as the building industry has welcomed it to be a long needed solution for different conditions. There are always new dispersing additives coming on the market, or for that reason different types of materials, like shrinkage reducing admixture (SRA). (ETH Zürich) in Zürich/Switzerland every three years. arises from material properties, engineering, and food quality and perception. sessions grouped around the introduced research topics in food rheology and structure. that will be available at the opening of the symposium in print and CD formats. are subject to evaluation by the Scientific Committee and to peer review. AERC 2009 wiil be held in Cardiff, the capital city of Wales. The aim of AERC 2009 is to contribute to the advancement of Rheology by bringing together interested researchers from Europe and the rest of the world, and bridging traditional themes with modern trends. Following the tradition of previous European Rheology meetings, AERC 2009 will be a three day conference split into symposia that reflect mainstream or emerging areas of Rheology. There will be minisymposia on blends, copolymers and nanocomposites; process modelling; rheometry and beyond: advanced experimental methods; interfacial phenomena, surfactants and foams; suspensions and colloids; viscoplasticity, solids rheology; biopolymers, biorheology and food rheology; constitutive modelling; non-Newtonian fluid mechanics; computational modelling; flow-induced phase transitions and instabilities; industrial rheology and processing. In addition, the meeting will include the 2009 Weissenberg Award Lecture and the 2009 BSR Gold Medal Lectures. TOP is an evolving, dynamic conference that embraces cutting edge research topics and emerging scientists. It was thought having as a primary objective the meeting of a number of scientists working within the area of timescales of polymers, conceived as the background driving force for the progress of knowledge in many field of Polymer Science. For this reason the TOP Conference had sessions on various topics including Viscoelasticity, Adhesion, Processing, Transport phenomena, Tissue Engineering, Fracture and Yielding, Sensors, Thin films, Cultural Heritage, Biopolymers, Durability of Polymers and Composites, Nano-Composites. In the last edition (held on June 2006) 150 delegates were registered at conference desk; the program consisted in a total of 70 oral presentations (including the plenary lecture and five invited lectures) plus 60 poster contributions. Such a good response together with the presence of many young scientists were taken as good arguments to consider the replica of the Conference. 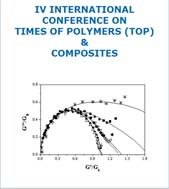 The 4th International Conference on "Times of Polymers-TOP and Composites" will be held in Ischia (September 21-24, 2008) at Hotel Continental Terme. Contributed papers for oral and poster presentation will be chosen on the basis of scientific interest and homogeneity with the conference topics. Discussion leaders, who are experts themselves in the field, will direct discussion during the sessions. Proposed papers title and abstract (2 pages and 1 figure) are requested. International Journals agreed for the publication of the selected manuscripts. The Polymer Processing Society was founded in March 1985 at the University of Akron, Ohio, USA; the intent was to provide a mechanism and format for interaction and presentation of research results in the international polymer processing community; the goals are to foster scientific understanding and technical innovation in polymer processing by providing a discussion forum for the worldwide community of Engineers and Scientists in the field. The thematic range encompasses all formulation, conversion and shaping operations applied to polymeric system in the transformation from their monomeric forms to commercial products. Membership in PPS is open to all researchers in the field, and to all persons who feel the activities of the society advance their professional development. This year's BSR Midwinter Meeting will be held at Imperial College London. The subject is the Rheology of Foams and Emulsions, with the aim of show-casing the best and most topical work on foams, emulsions and related high-interface systems. The meeting will run from lunchtime on Monday (lunch provided) until lunchtime on Tuesday. Keynote speakers include Prof. Denis Weaire (School of Physics, Trinity College Dublin), Prof. Jan Cilliers (Department of Earth Science and Engineering, Imperial), Dr. Phillippe Marmottant (Laboratoire Spectrometrie Physique, Grenoble) and Dr. Pete Wilde (Institute for Food Research, Norwich). The BSR Gold Medal and Vernon Harrison PhD Prize will also be presented during the meeting. a title and an abstract of no more than 250 words to Simon Cox at the address below by 12th October, stating your preference for oral/poster presentation. A reduced conference fee is offered to delegates booking before 1st November. The main objective of the BIOFOAM conference is to provide an international forum for presenting fundamental aspects of current developments and future directions for research and applications in foaming technologies involving biomaterials. This conference will bring together experts in a selected group of topics that encompass biodegradable foams, foams in medicine and edible foams (food and non food applications). The goal is to provide a broader context of scientific exchange along with the themes of material properties, processes, equipments and foaming agents, modeling, structure and properties of BIOFOAMS. The conference will also highlight new developments in the field of nanoscience related to biofoams. 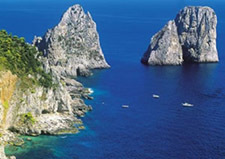 The BIOFOAM conference will be held on September 26-28, 2007 for 3 days in Capri. The conference structure, the diversity of the attendees and the careful selection of participants from industrial and academic organizations are expected to contribute significantly to achieve the objective of identifying problems and to promote scientific discussion and further collaborative research projects. The European Polymer Congress is a biannual event that has attracted up to 800 participants attending the event. Conferences have been previously held in France, England, Italy, Germany, Switzerland, Greece, Poland, the Netherlands and Sweden, with the last European Polymer Congress in 2005 being held in Moscow, Russia. The European Polymer Congress 2007 (EPF-2007) will last for five days and will cover all key areas in the field of polymer science. EPF-2007 aims to bring together a wide range of polymer scientists, researchers, students and other relevant participants. More than 600 participants from all over the world are expected to attend the congress, where eight main sessions will be covered by around 80 renowned lecturers. The congress will offer an excellent opportunity for in-depth discussion between scientists, engineers and leading experts on all major cutting-edge topics of polymer science and is therefore a “must” for everybody in the scientific field of polymers. There will be plenary lectures (45 minutes), invited lectures (30 minutes including discussion), oral contributions (20 minutes including discussion) as well as a poster session. A special session will be dedicated to the memory of Victor Kabanov. A round table on polymer education will also be organized. On behalf of the Organizing Committee, I am pleased to invite you to participate in the 9th European Conference on Liquid Crystals and related topics, to be held in Lisbon, Portugal, July 2- 6, 2007. This conference is intended to provide a forum for all those who are active in any field of Liquid Crystals Science and Technology, and related topics, to meet and exchange ideas. In spite of the European character of the ECLC, there is no restriction on the attendance of delegates from all over the world. Young scientists are strongly encouraged to participate. The ECLC used to be a winter conference. We chose to organize the ECLC 2007 in summer, instead, to increase the time gap from the ILCC and to take advantage of the fact that sun, not snow, is the main ingredient of Portuguese climate. Lisbon is known for its luminosity; the light, the unique atmosphere and the climate offer a marvellous environment to make the ECLC 2007 a fruitful and memorable event. The Scientific Program will include an opening lecture, a number of plenary, keynote and invited lectures by distinguished scientists highlighting selected topics and new developments in the field, and contributed oral and poster communications. An exhibition area will be provided for LC related companies to display and demonstrate their products and the latest technical advances in the field. Social and cultural events, as well as a conference excursion and dinner, will be arranged for participants and for accompanying persons. I am looking forward to meeting you in Lisbon. The aim of AERC 2007 is to contribute to the advancement of Rheology by bringing together interested researchers from Europe and the rest of the world, and bridging traditional themes with modern trends. Following the tradition of European Rheology meetings, AERC 2007 will be a 3-day conference split into symposia that reflect mainstream or emerging areas of Rheology. The Southern African Society of Rheology (SASOR) will hosts its 1st Conference on Rheology in Cape Town, South Africa from 24-27 September 2006, followed by a two-day course on Rheology and Engineering Applications of Multi-Component Systems, 28-29 September 2006.
lively discussions for the promotion of knowledge. Following the tradition of European Rheology meetings, AERC 2006 will be a 3-day conference split into symposia that reflect mainstream or emerging areas of Rheology. The organizing committee is in charge of the local arrangements as well as the overall programme, which will consist of plenary, keynote and oral (in 5 parallel sessions), and poster presentations. Each symposium is organized by two chairpersons who are in charge of the scientific programme. Abstract submission and registration will be done electronically via the web. The 4th International Symposium on Food Rheology and Structure - ISFRS 2006 addresses the needs of food rheology and structure researchers. The symposium is devoted to rheology of food and related systems, to food structure and structure analysis, and to the complex relationship between food processing, structure, rheology and resulting food quality. Every four years, rheologists around the world gather together to report, discuss and celebrate progress made in the global community of rheology. Next upcoming conference will be in Seoul, Korea in 2004. The contents of most talks we'll have in Seoul may be largely the same as before and most of the faces of the participants will be just as familiar. But the theme should and will be a little different and a bit more future-directed, since as we all know, the ICR2004 will be the first global rheology meeting of the 21st century. Perhaps the theme and tones that better reflect the direction of our civilization will be more pertinent.Authors are invited to submit abstracts (each not exceeding 300 words) for either oral presentations or poster presentations. Abstracts should be submitted to the Congress Secretariat no later than September 30, 2003. Registration can be done on line. More information in the offcial web site. The form of the conference allows invited presentations as well as contributions from participants. Contributed papers for oral and poster presentation will be chosen on the basis of scientific interest and homogeneity with the conference topics. Discussion leaders, who are experts themselves in the field, will direct discussion towards constructive conclusions. The total number of participants including speakers will be restricted to a maximum of 100 people. Proposed papers title and short abstract (250 words) are requested. The Conference will be specifically interested in receiving reports on Interdisciplinar researches relating Physics with other Sciences such as Biology, Chemistry, Information Science, Medicine, etc or relating different Physics areas. In other words, we are specially (but not exclusivelly) interested in reports applying the techniques, the training, and the culture of physics to research areas usually associated with other scientific and engineering disciplines. Papers should at least cover two of the following topics and represent APPLIED research. The aim of AERC 2003 is to contribute to the advancement of Rheology in Europe, by bringing together researchers in a meeting of broad scientific scope, focussed on the presentation of novel, high-quality scientific results. The AERC 2003 will have a 3-day duration and will be split into topical Symposia, focussed either on mainstream or upcoming areas of Rheology. Each Symposium will have Chairpersons who will be in charge of organising its scientific programme. The conference will have Plenary, Oral (in parallel sessions) and Poster contributions, paper submission and registration being done electronically over the WWW. The submission of recent results will be fostered by keeping the deadline for abstract submission close to that of the conference and in order to promote the presentation of high-quality results, special issues of both Rheologica Acta and Journal of Non-Newtonian Fluid Mechanics, containing contributions selected from each Symposium by the respective Chairpersons, will be edited after AERC 2003. The 3rd International Symposium on Food Rheology and Structure is the single most comprehensive international symposium of its kind, geared to address the needs of food rheology and structure researchers all over the world. The symposium is devoted to rheology of food and related systems, to food structure and structure analysis, and to the complex relationship between food processing, structure, rheology and resulting food quality. Included in the four-day symposium are three full days of oral and poster presentations as part of our technical program, an exhibition on equipment and additives, and an evening reception and dinner, as well as a sight-seeing tour. The technical program will start on Monday, February 10, 2003 with an opening lecture and will close on Thursday, February 13. The opening, plenary, and several keynote lectures will be presented by well-known scientists introducing research topics in food rheology and structure. All papers will be published in the conference proceedings, which will be available at the opening of the symposium. We hope that scientists and interested experts from industry from all over the world will endeavor to meet in Zurich, and make this 3rd International Symposium on Food Rheology and Structure a success from a scientific and an industrial point of view. The First Conference on Times of Polymers is organised by several Italian groups that deal with Polymer Science. The conference provides a forum for scientists and engineers throughout the world interested in the timescales of polymer processing and properties. As "time" is the driving concept in the whole polymer science community (academic and industrial), TOP includes sessions on various topics and provide opportunities for exchanging ideas and opinions on industry-relevant subjects. In Paris in 1993 and in Bordeaux in 1997, the World Congresses on Emulsions brought together more than 1,000 participants from over 60 countries with 250 papers selected and published. The participants and the authors of the papers represent very different industrial backgrounds such as the food industry, phytochemical products, plastics, road surfacing, pharmacy, cosmetics, photography, inks, paints, detergents, as well as university researchers. As international forums, these congresses are designed to advance exchanges between researchers, scientists and engineers from all the different industries around the common theme of emulsions, and to encourage the transfer of technologies and fundamental knowledge in this field. As in 1993 and in 1997, an exhibition will be organised during the Third Congress together with a poster area : it will offer the opportunity for the delegates to meet and for different industries to demonstrate their most recent developments. The 6th European Conference on Rheology (eurheo 2002), organised by the Institute of Polymer Materials (LSP) in collaboration with the German Society of Rheology (DRG), is held in the tradition of the International Conferences on Rheology and is intended to be a meeting place for everybody working in the different fields of rheology. We would like to invite you to discuss recent results and exchange ideas with your colleagues from different countries at University Erlangen-Nürnberg. The conference will be held at the Polonia Institute campus beautifully situated at a limestone hill nearby Vistula river. The place located just midway between downtown Cracow and the international airport (5 km from each site) can easily be reached by public transportation or by car. Its exceptionally scenic location inside a park, specific microclimate and isolation from the city creates a unique environment for a successful scientific event. The campus is managed by the Polonia Institute of the Jagiellonian University. Accommodation for more than 150 people (single, double and triple rooms, each with bathroom) can be found in the hotel section of the campus. There is also a large conference room fully equipped (about 180 seats) and a number of smaller conference rooms for additional 200 people. Next to the auditorium one can find a charming coffee-bar called Lennon, an ideal place for coffee breaks. It should be mentioned that the hotel section and the lecture rooms are located in the same building complex, which facilitates the transfer of people in case when parallel sessions are needed. Due to exceptional atmosphere more than 20 conferences take place at the campus each year. Within the campus, just five minutes walk from the hotel, there is a restaurant U Ziyada located in a former castle, famous for its fine food and marvellous panoramic view over the Vistula valley and the Tatra mountains. The restaurant can host simultaneously more than 200 people. Both the welcome party, breakfasts and lunches will be served there. Additionally, in the castle cellars one can find a romantic cafeteria just inviting for informal scientific discussions. 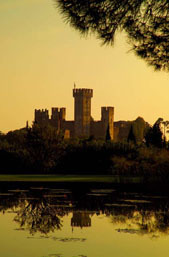 Additional hotel rooms located in the castle should be available soon. this special package price will include four night accommodation (within the campus in fully equipped rooms, each with bathroom), welcome party, social events, breakfasts, lunches, coffee breaks, snacks during poster sessions and all conference materials. There will be a certain number of reduced fees available for students and scientists from post-communist countries. For those who chose to stay in top quality hotels (downtown area, 15 minutes by taxi) the costs will be about $ 200 higher. Early booking of these hotel rooms, assisted by the organisers, is advised due to a great number of tourists visiting Cracow at the conference time. Poland possesses presently a status of an EU associated country and no visa is required for citizens of most European and overseas countries. The immigration formalities at Cracow international airport both by arrival and departures take no longer than a few minutes. Cracow has direct flight to Frankfurt, London, Paris, Rome, Vienna, Zurich, Copenhagen, Tel Aviv, New York, and Chicago. There are also many local connections with Warsaw international airport. Similarly, Cracow has convenient train connections with Berlin, Moscow, Prague, Vienna, Leipzig, Kiev, Bratislava, Budapest, Frankfurt etc. Coming by car is equally simple since the major highway Cracow-Katowice-Berlin (A4) approaches the conference place as close as 3 km. Banking system is well developed, one can find international bank branches everywhere in downtown Cracow, major credit cards are accepted both in shops, restaurants and hotels. Prices in Cracow, especially for gasoline, restaurants food, souvenirs, are 20 % lower than in most European cities. Cracow is known by its moderate climate, especially in late summer when the conference is to be held. The temperature varies between 18-25 degrees Celsius at that time and there is usually little rain. Last not least, Cracow is the cultural capitol of Poland and there are many cultural events at the conference time, e.g., the Organ Music Festival in nearby Tyniec Abbey, Music in Old Cracow Festival comprising more than 20 concerts usually held in various historical places etc. Cracow also can serve as an ideal basis for sight seeing tours, for example, to the nearby Wieliczka salt mine (one of the oldest in Europe) Tatra Mountains etc. The organisers will be hapyy to assist in booking these trips. Torremolinos, is situated at just 14 km from Malaga and at less than 10 km from the International Airport, the best location on the whole Costa del Sol. You will find a great variety of entertainment and excellent dining in Torremolinos. The conference will be held at Amaragua hotel. If you require accommodation, please indicate this on the Registration Form. The official language of the EuroRheo2002-01 will be English. No arrangements for translations will be made. Multi-lingual personnel are available at major Spanish airports and most major hotels to assist travellers in their needs. Extended abstract of all accepted presentations will be published in the form of a book of proceeding. The conference will commence at 12 noon on Monday March 25th, 2002 and finish at lunchtime on March 27th, 2002. The two day period gives time for workshop sessions as well as formal lectures. 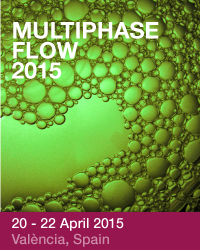 The emphasis will be on the numerical simulation of industrial processes involving non-Newtonian fluids. Plenary speakers include Prof F P T Baaijens (Eindhoven), Prof D G Baird (Virginia Tech), Prof H A Barnes (Unilever), Prof D V Boger (Melbourne), Prof J de C Christiansen (Aalborg), Dr B Debbaut (Polyflow). The meeting will be held at the Lake Vyrnwy Hotel, which is situated in a magnificent 24,000 acre country estate near the village of Llanwddyn in Mid-Wales, with spectacular views of Lake Vyrnwy. The hotel offers excellent accommodation with full conference facilities. The total cost of £350 includes full board accommodation from Monday lunch to Wednesday breakfast. An accompanying person, sharing a room with a conference delegate, will be required to pay £115 or £130, depending on whether Tuesday lunch is required. The site of the meeting is the Hyatt Regency Hotel, in Bethesda, Maryland. The hotel is just 2 miles (3.2 km) from the Washington, D.C. border, near the National Institutes of Health. The hotel is situated directly above a stop on Washington’s Metro subway system, for convenient access to the Smithsonian Institution museums, the National Zoo, the White House, the Capitol, and the monuments around the National Mall. Admission is free to most of the Federally operated locations, such as the Smithsonian Institution. There are also more than 100 restaurants within walking distance of the Hyatt Regency. October is a peak tourist season in Washington, with an average high temperature of 69 °F (20.6 °C) and an average low temperature of 50 °F (10 °C). For that reason, reservations at the Hyatt Regency should be made early; special room rates for the meeting are $149 for single occupancy, $169 for double occupancy. The meeting coincides with the Centennial of the National Institute of Standards and Technology (formerly the National Bureau of Standards), located 15 miles (24 km) farther north in Gaithersburg, Maryland. Some connection between the meeting and Centennial events at NIST is planned. Conference registration includes access to all technical sessions and the vendor display, the program and abstract booklets, two receptions, one luncheon, coffee breaks, and refreshments at the poster session. The registration fee does not include the Banquet, which is subject to limited seating. Please see details on the meeting registration form. On-site registration will be held on Sunday, October 21th, from 3 to 8 PM, in the foyer on the Conference Level (down the escalators from the lobby). Registration will continue each day, Monday through Wednesday, from 9 AM to noon. A welcoming reception hosted by TA Instruments will be held on Sunday, October 21st, from 7 to 9 PM in Fellini's Bar and Grill (Lobby Level). All attendees are encouraged to attend the society luncheon of The Society of Rheology, to be held on Monday, October 22th, from 11:50 AM to 1:30 PM in the Crystal Ballroom. All attendees are encouraged to attend the annual business meeting of The Society of Rheology on Tuesday, October 23rd. This meeting will start at approximately 5:30 PM in the Cabinet/Judiciary Rooms. Rheometric Scientific will host a reception in the Foyer outside the Crystal Ballroom beginning at 7 PM on Tuesday, October 23rd, prior to the Bingham Award Banquet. The Banquet will be held in the Crystal Ballroom. Dinner will be served at 8 PM. Bohlin Instruments will host a reception in conjunction with the Poster Session on Wednesday, October 24th. This event will start at 6 PM. Posters will be displayed in the Crystal Ballroom. Vendors will demonstrate their products in the Chesapeake/Susquehanna Suite (Basement Level). Coffee and refreshments will be served in this room. The aim of this session is to bring together industrial and academic researchers in a dialogue that will review the value of rheology in an integrated approach to product and process design for structured materials. The development and manufacture of materials where flow characteristics and microstructural properties play a significant role in the value and function of the product is undoubtedly one of the most challenging and fast growing areas in Chemical Engineering. Inherently, rheologists are now intimately involved in food, cosmetic, pharmaceutical, agricultural, specialty polymers and coatings industries. This is an exciting climate of refreshing opportunities and new challenges for the global rheology community. In this light, we envisage that the seminars and subsequent discussions will generate inspiration and clarity of purpose for the start of a new millenium of rheology research. Three highly topical keynote lectures will be given under this session title (topics and speakers to be confirmed) throughout the Congress. We invite you to submit a contribution, either for oral presentation or for the related poster sessions. The deadline for abstracts is 30 September 2000. A fast track submission option is available for industrial contributions with a deadline of 30 November 2000. Abstracts may be submitted electronically by using the forms available at www.chemengcongress.com. Please refer to this website for the guidelines for contributors. In order for your paper to be considered for the session 'Rheology in integrated product and process design', please tick Rheology under Topic 4: Unit Operations and Fundamentals. Please contact us if you require any further information with reference to the 'Rheology in integrated product and process design' session. The Australian-Korean Rheology Conference will be held in Melbourne, Australia on 20th and 21st of September 2001. The conference is organised by the Australian Society of Rheology and the Korean Society of Rheology. It provides an international forum to showcase the rheological research in Australia, Korea, Japan and the Pacific region. All scientists and engineers interested in rheology are invited to participate in this conference. The conference will be held at the Melbourne Business School (MBS) at the University of Melbourne. These abstracts will be subject to peer review and acknowledgment of acceptance of the abstract will be given by 30th June 2001. People who responded to the Call for Abstracts, and anyone interested in attending the conference are invited to Register. The University of Manchester is currently celebrating its 150th year. This meeting, held also by the Statistical Mechanics and Thermodynamics Group (SMTG) of the Royal Society of Chemistry, the Institute of Physics (IOP) and the British Society of Rheology (BSR), is part of a program of events to celebrate this occasion. The meeting will directly be followed a workshop on Colloid Rheology led by Professor John Brady (Caltech, USA). This is another in the series of RSC SMTG free workshops and will take place from 2.0 – 5.0 pm on Friday, August 31. A number of distinguished scientists from this country and from abroad have agreed to speak. There is space for a limited number of further oral contributions. Abstracts (under 500 words) are to be received by 15 July, 2001. The AGMs of the British Society of Rheology and the RSC Statistical Mechanics and Thermodynamics Group will also be held during the meeting. The conference is sponsored by the Canadian Rheology Group and the University of British Columbia and it is aimed in continuing the tradition of international conferences in rheology. The Conference was a special one, since it was dedicated to Professor Andreas Acrivos, one of the most influential chemical engineers of the last 50 years, on the occasion of his retirement from the City College of the City University of New York, where he held the A. Einstein Chair at the Levich Institute. Professor Acrivos' research interests lie in the general areas of Applied Mathematics, Newtonian and non-Newtonian Fluid Mechanics, Transport Phenomena and, currently, in the rheology of concentrated suspensions and the study of the effective properties of two-phase materials. He has published more than 180 papers in well-reputed journals, and has graduated a large number of Ph.D. students who, in their majority, have become leading scientists and engineers. His academic family includes more than 400 members. He has received a number of distinguished awards, which include election to the U.S. National Academy of Engineering, the U.S. National Academy of Sciences, and the U.S. Academy of Arts and Sciences. The meeting was attended by over 100 participants, out of which 30 were former students of Professor Acrivos or members of his academic family. They had been invited by the HSR and participated in the Conference with invited talks. The program included also plenary lectures, oral presentations and a poster session, on topics which covered all areas of the general theme of Rheology: Polymer melts and solutions, colloids and suspensions, molecular modeling and simulations, and experimental, theoretical, and computational fluid dynamics. A complete list of participants, as well as the final program of the Conference is posted. The Abstracts of the presentations given in the Conference were compiled in a Book, which is also posted. Extended versions of some of the papers presented in the Conference have been submitted for publication in a special issue of the Journal of Non-Newtonian Fluid Mechanics (JNNFM), which is expected to appear within the year. The Organizing and Scientific Committees of the Conference are grateful to Professor Ken Walters, editor of JNNFM, for providing this opportunity in honor of Professor Acrivos. In addition to the Scientific Program, the Social Program was also interesting. This included a tour to the Archaeological Site of Olympia, a reception by the ICE/HT-FORTH Director and Researchers followed by dinner, and the Formal Conference Dinner on June 13th, where HSR and Professor Acrivos celebrated his birthday. During the Conference, commemorative plaques were awarded to Professor Acrivos by the Vice Rector of the University of Patras (Professor C. Vayenas) and the Director of ICE/HT-FORTH (Professor A. Payatakes). The Joint Conference of Italian, Austrian and Slovenian Rheologist foolowed the tradition of the previous National Conference on Rheology, which have been organized every year by Rheotech and the Italian Group of Rheology. As in the past, this Conference was essentially devoted to bring together accademic and industrial researchers from different fields of recognized relevance with the expectation that they will learn from one another and discover ways to work together synergistically. At the same time, this Joint Conference represented the natural continuation of the Rheoworkshops which have been held every year within the Alpe-Adria frame. At the closing session of the 5 Alpe-Adria Rheoworkshop (Novo mesto, May 28-29 1997), it was suggested that Trieste would be the venue for the 1998 meeting and this is another reason why both councils of Rheotech and the Italian Group of Rheology decided to organized the next national Conference in a form suitable to favour the scientific exchange and to consolidate the international experience and role of the National Groups, in accordance with the spirit of the European Society of Rheology. The scientific program included oral and poster communications on various topics of fondamental and pratical interest together with an equipment exhibition. More than 60 scientists from 6 countries attended this meeting and contributed to its success. On behalf of the Organizing Committee, I wish to espress our gratitude to all the individuals and organizations that have contributed to the success of the Conference. In particular, I wish to acknowledge the contribution of Eniricerche and University of Trieste for their financial support. The next Conference will be organized by the Italian Society of Rheology, which gathers the inheritages of Rheotech and of the Italian Group of Rheology, with the cooperation of other national societies of the Southern Europe, and will take place in September 1999 in Calabria.